This fairy dress is very special. With a satin lining, and long fancy petals (each roll hemmed for added durability and quality), this dress is perfect for fairies! 2 satin bows and coloured flowers, this is a very fancy fairy! 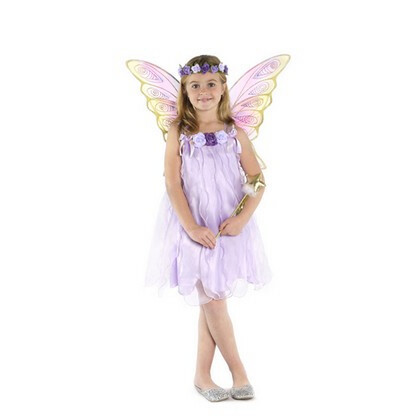 Pair this dress with the rose garland halo and rainbow glitter wings for extra fairy effects! This dress is a perfect for any occasion or for special princess party!